Gold – One More Pop or Collapse? Friday came in with the Panic Cycle on target. The polls in Switzerland were showing little support for the Save Our Gold issue. 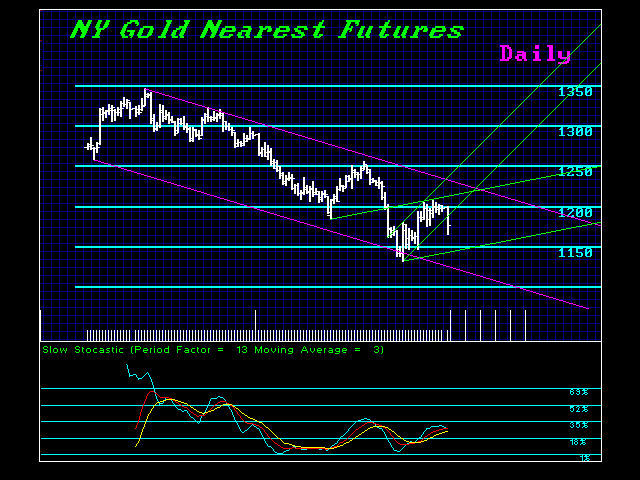 Nevertheless, as we approach year-end the major trading range will be 1310 to 1042.50. These are the outer end range boundaries and closing between these two numbers will leave gold in a bearish mode for 2015 as we head into the targets for the benchmarks. 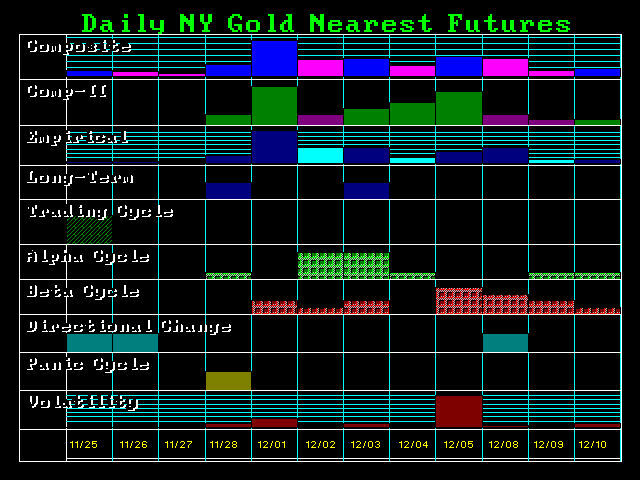 Gold still has the potential for a manipulation pop into the seasonal turning point. However, the primary resistance remains in the 1250-1275 area. Only a closing above 1310 would save gold at year-end and that does not seem to be likely. A break to new lows now will warn of a seasonal low on the next target with a two month bounce followed by a drop into the benchmarks. Friday’s Panic Cycle warns of perhaps an initial low on Monday until the Swiss vote really sinks in as to what it now means. This can be a real game changer for 2015. Keep in mind that a closing BELOW 1042.50 at year-end will open the door to that extreme decline beyond the initial target support. In other words, break that key level too early and that means we will see a real dump that could extend back to the $630 target area. For now, brace yourself. It looks like a lot of fun and games for 2015 on the horizon. Now that the Swiss central bank CAN sell its gold reserves, look out. When you ask a question, you better know what the answer will be or you end up with the consequences. Swiss sales of gold are now quite possible. As governments need money desperately and it is resolved that we are headed into electronic money, gold will become a barbaric relic of the past to financially strapped central banks in Europe. If the Swiss sell due to massive losses in the Euro, they may set off a competition in official sales. France will join – just watch. Socialists always sell tangible assets. If we see a pop in gold, it will be a manipulation to get the bulls revved up to sell to them one more time – thank you very much.